If you've ever been on a date with someone who was clearly out of your league then you'll know how I feel driving the new L200. Every time I park up it feels like people are expecting to see a great big builder type at the wheel of this tough-looking vehicle instead of me. But while the new L200 Series 5 might not be intended for me, that doesn't mean I can't enjoy driving it. 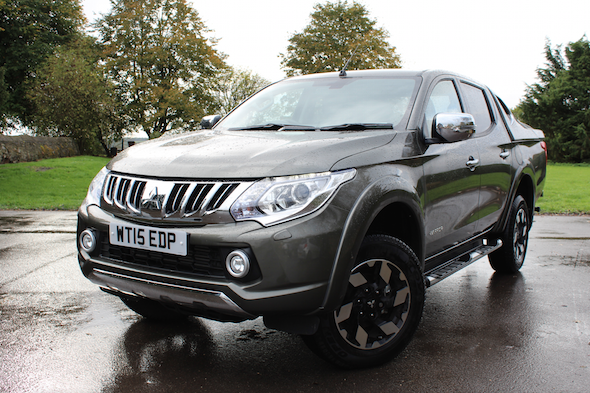 Mitsubishi says the new L200 has had 'significant improvements' in 330 areas from the fourth-generation vehicle, which we also tested recently. And the stats are hard to argue with: it's best in class for fuel efficiency, performance, emissions, manoeuvrability, carrying and towing. The new model looks better too, especially from the front with the big new grille, but it's the drive where you really notice the step up. It's more refined and comfortable and the cabin has a much better quality feel. Firmer suspension and extra dampening improve the ride and handling, which combined with the surprisingly quick acceleration means it's easy to forget you're driving such a large vehicle. There's good value for money across the range – the entry-level model has an impressive deal of kit, including air conditioning, a switchable 4x4 system and plenty of safety features – while our Warrior also comes with heated seats, rear-view camera and sat nav. The Series 5 sets a new standard for pick-ups. It will be interesting to see what the rest do next.